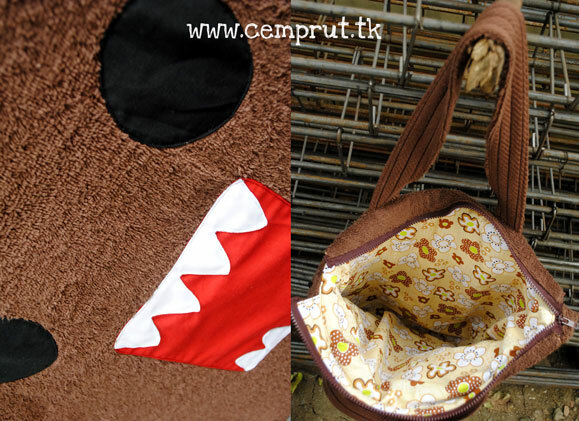 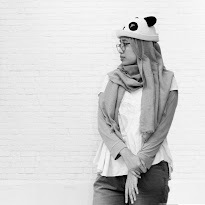 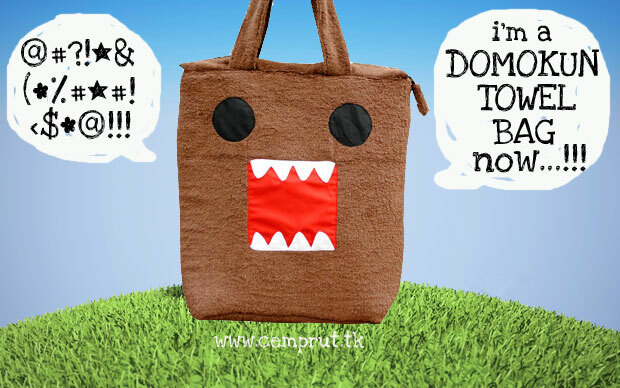 c e m p r u t: the domo-kun towel bag...!!! 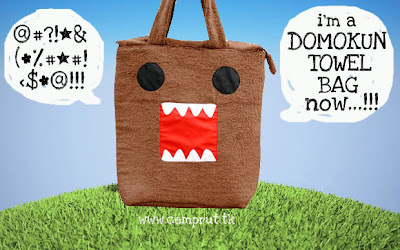 let me tell you a story about Domo-kun (どーもくん), his a small brown open-mouthed monster hatched from an egg who lives with a wise old rabbit underground. 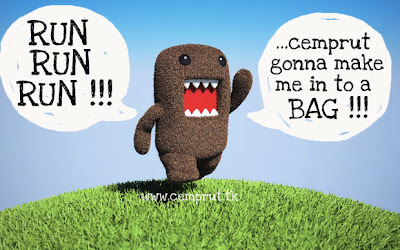 He really, really likes TV and also enjoys rocking out to Guitar Wolf.